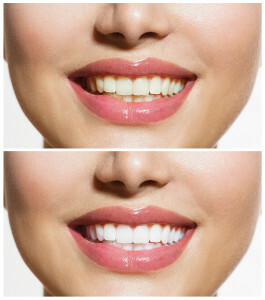 Whitening will change your smile! Chicago cosmetic dentistry is available for every patient at Lincoln Dental Family Center. The doctors at Lincoln Dental Family Center believe that everyone can have a bright and healthy smile. Our Chicago dental office focuses on meeting your functional and cosmetic needs. Chicago cosmetic dentistry at Lincoln Dental can correct spaces between teeth, reshape crooked teeth, repair cracked teeth and whiten discolored teeth. There are a variety of cosmetic dentistry options available at Lincoln Dental Family Center. Tooth whitening is a cosmetic dental procedure that will brighten and whiten your tooth color by several shades. Choose at home or in-office whitening. Dental veneers are used in cosmetic dentistry to correct the color, shape and length of teeth. Veneers are a “contact thin” material that covers the front surface of teeth to enhance their appearance. Dental bonding is a man-made composite white colored filling material designed for cosmetic dentistry. Our dental team dentists will sculpt and shape the dental bonding material to the cosmetic and functional results you desire. Porcelain crowns and bridges are a wonderful option in cosmetic dentistry because they can be color matched to your natural tooth color or whitened to brighten your teeth and smile. Porcelain crowns are used to cover single teeth that are broken or decayed, to straighten crooked teeth, close spaces between teeth and fill spaces left by missing teeth. Many crowns and bridges last much long with good oral hygiene.